Due to the incorrect fall of conventional gutters, water, leaves, dirt and debris tend to remain in metallic roof gutters. A combination of these factors is the ideal condition for rust formation. Typically found in steel gutters, rust is the effect of water and oxygen coming into contact with iron. Routine gutter maintenance can help combat gutter rust. When you have metal guttering, rust comes with the territory. Once it develops on any surface, the corrosion can eat all the way through your gutters. Gutter rust can even form large holes, coupled with the action of leaf acids. Aside from taking away from the appeal of your property, rust also weakens the structure and leaking rusty gutters stains paths, leading to further expense. We recommend that you replace your gutters with a reliable rust-proof gutters. Buy the trusted gutters in Australia that comes with a 25-year rust-free warranty. For guttering supplies in Sydney, call 1800 897 444. How can I remove rust from my gutters? In most conventional gutters, you’ll need to treat rust before it spreads and further damage your roof gutters. Apply a rust solvent or dissolver to make it easy to remove rust. Remove rust by using a wire or steel brush. Wear gloves and scrub any rusted areas on your gutters using the wire brush. Wipe off and drain any debris away from your gutters..
Rust presents a threat to the maintenance and value of your home. To prevent gutter rust from impacting the value of your property, make sure to install rust-proof gutters. Reliable gutter providers offer a rust-free warranty so you can be sure that you won’t have to deal with any rusty gutters in the future. 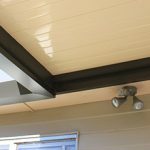 Can I prevent gutter rust by installing the Easy Fall Guttering system? Let the team at Easy Fall take care of any rust problems. With our innovative guttering system, we can help you prevent gutter rust. With breakthrough products by EASY FALL™ Guttering Sydney, you don’t have to worry about rain gutter repair work in the future. 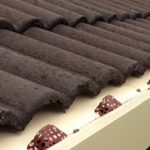 Paul Axford, the man behind the innovation, has designed a gutter system that protects against rust. Our gutters come with a 25-year rust-proof warranty! Effective gutter brackets ensure that rainwater continually flows along the PVC channel through to the downpipes. The interior gutter is made from PVC, allowing water to be channelled along a non-metallic material. This removes any possibility of gutter rust. 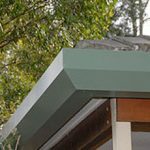 As for the outer casing of the EASY FALL™ Guttering System, it is made from COLORBOND® Steel, one of the best brands in the market. You’ll be glad to know that this comes with a 25-year rust-free warranty. Request a free quote or pick up the phone and speak with any of our friendly customer representatives now. At Easy Fall Guttering, we solve problems others can’t. Call 1800 897 444!